Stately oaks dripping Spanish moss. Gentile Southern mansions nestled around small parks. Artsy students hurrying off to class, sketchbooks clutched in their hands. You can find all of this (and lots, lots more) on the streets of Savannah, Georgia, one of my top three favorite Southern cities (Charleston being the numero uno in my book, of course, and New Orleans rounding out the trio). Savannah's historic district isn't very big, but if you're visiting for the first time, you've probably got plenty of questions about what to see and do and where you should stay and eat. 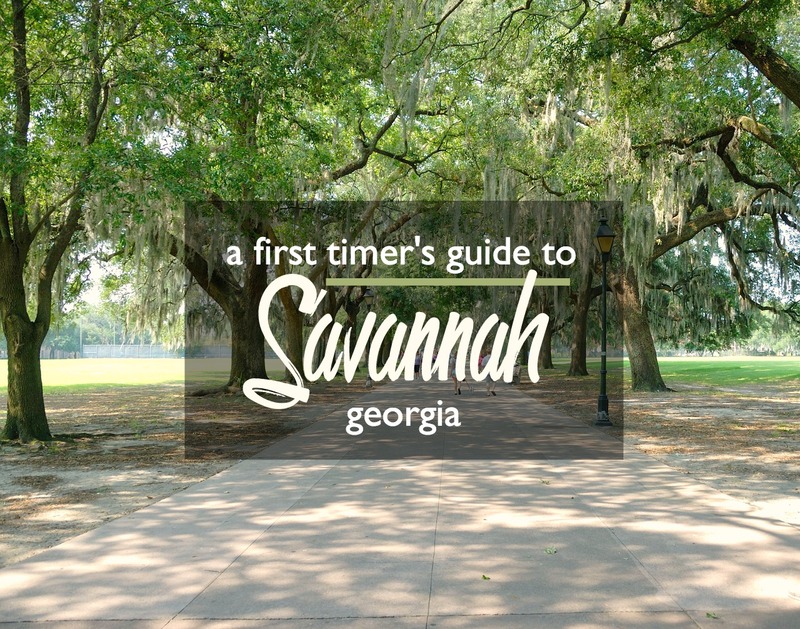 This isn't a definitive guide by any means, but hopefully, it will help you dive into the beauty and charm of Savannah. 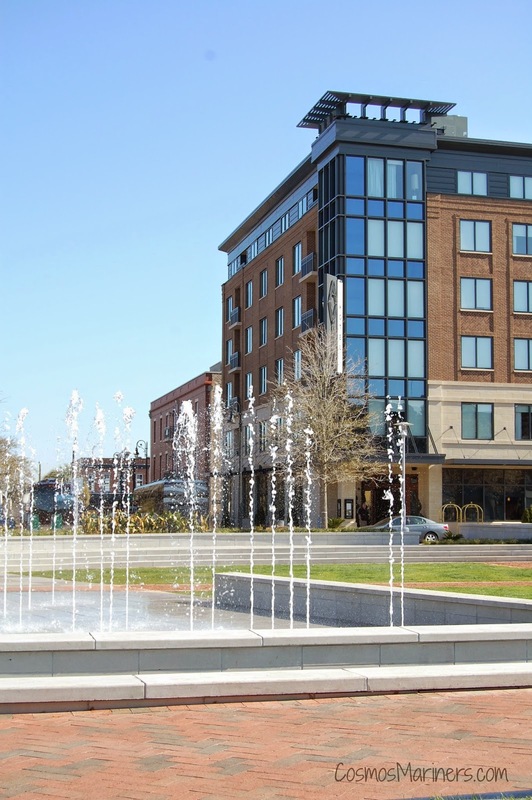 In the downtown area, there are plenty of great hotels within walking distance of everything that Savannah has to offer. Over the years, we've taken a bit of a hotel tour with all of the different places that we've stayed. The Hilton Savannah DeSoto doesn't have a very glamorous lobby (though it does have a Starbucks!) but the rooms have recently been renovated. It's about halfway between River Street and Forsyth Park which puts you within easy walking distance of the entire historic district. We stayed at the Andaz Savannah (then known as Avia Savannah) one night of our honeymoon and loved the trendy vibe and super modern decor. It's located on Ellis Square just across from the City Market. 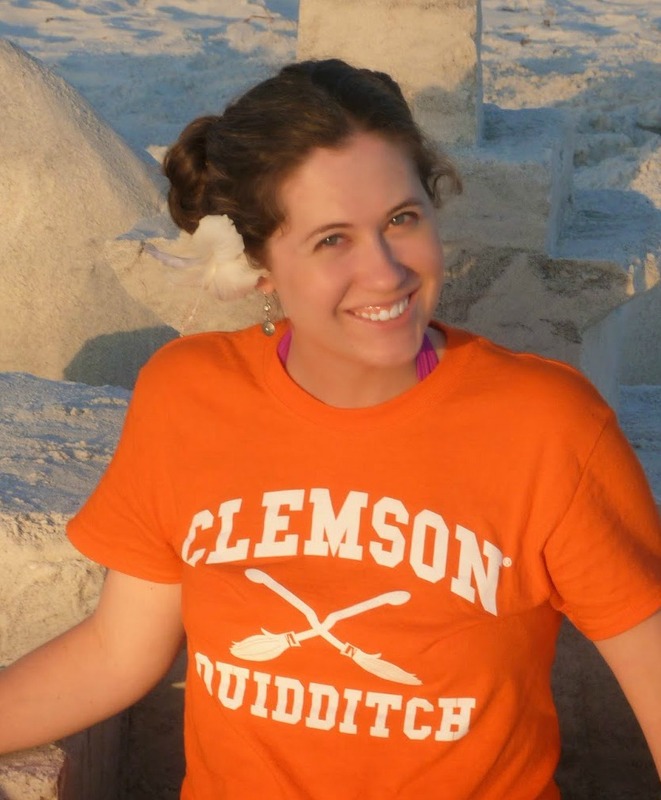 For my 29th birthday, we took a trip to Savannah with my parents and my sister and stayed in the Hampton Inn and Suites Historic District. As far as Hampton Inns go, this was a particularly nice one. A note to newcomers: at night, I wouldn't recommend wandering too far off Martin Luther King Boulevard away from the historic district if you stay at this hotel. I never felt unsafe walking to and from the Hampton Inn, but the area behind the hotel towards I-16 gets into not-so-great-for-tourists territory pretty quickly. 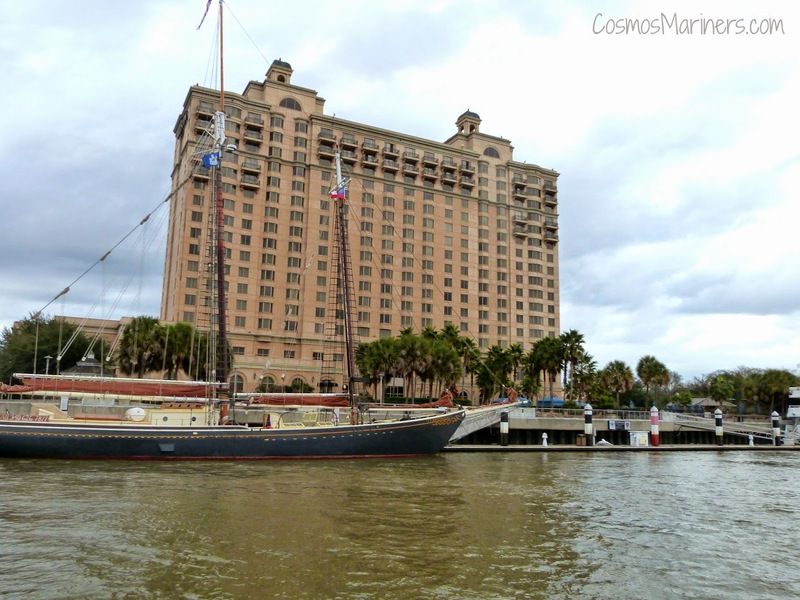 On our most recent trip, we ventured across the river and stayed at the Westin Savannah Harbor Resort. 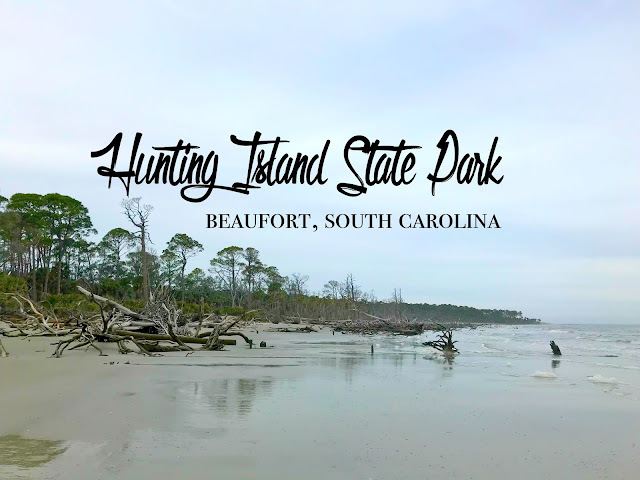 Initially, I was hesitant about taking the water taxi back and forth, but I ended up loving the fact that we could retire to a quiet hotel away from the hustle and bustle of downtown. Plus, the views were amazing! 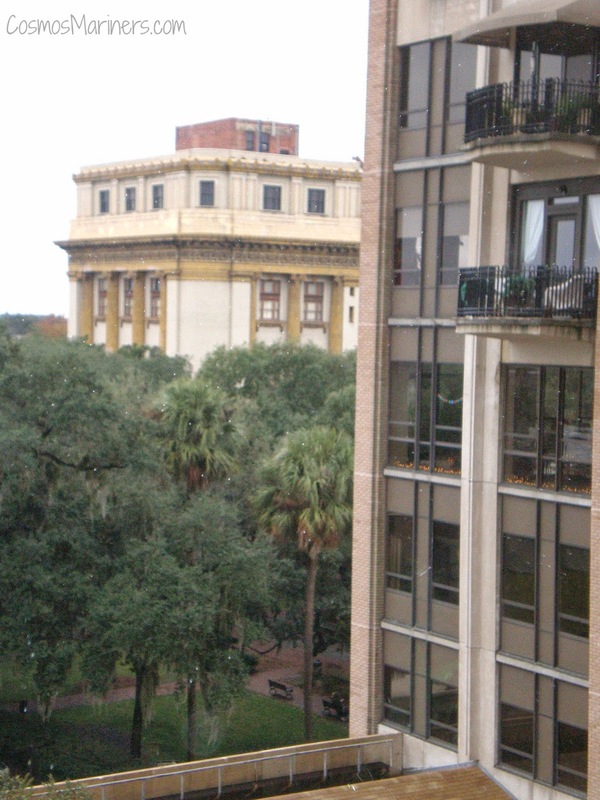 There are of course, dozens of other places to stay in the historic district including the Mansion on Forsyth Park, the Hyatt Regency, and the River Street Inn. The answer to this is everything. (I kid. Sort of.) If you're interested in the super popular restaurants of the historic district, head over to The Lady and Sons or The Pirates House. I, for one, was pleasantly surprised by The Pirate House, and their BLT salad is one of my favorite meals in Savannah. I love that you get to dine in the historic buildings which date back to Savannah's colonial days. While Clary's Cafe is one of those incredibly popular spots, it comes by the fame for the right reasons. They serve a top notch breakfast here all day. I'm a huge fan of their strawberry cream cheese French toast! The River Street area has lots of places to eat. Huey's is right by the water, so you can watch the barges come down the Savannah river while you eat a muffaletta. Kevin Barry's Irish Pub is also a popular spot by the water. Another concentration of restaurants is in and around Ellis Square. In the City Market, you can grab some tasty wings at Wild Wings Cafe or build your own pizza over at Vinnie Van GoGo's (the pesto pizza with mushrooms and onions is a personal favorite). Sample some local brews over at Moon River Brewing Company or Southbound Brewing Company. Southbound is just outside of the historic district, so you'll have to hop in your car if you're staying downtown. On your first trip to Savannah, you absolutely have to allot time just to wander: part of the city's charms can only be absorbed when you're away from a guide book or a tour bus. Park your car and walk from spot to spot on your itinerary--everything's close enough to easily walk if you're in decent shape. Take a historical tour. 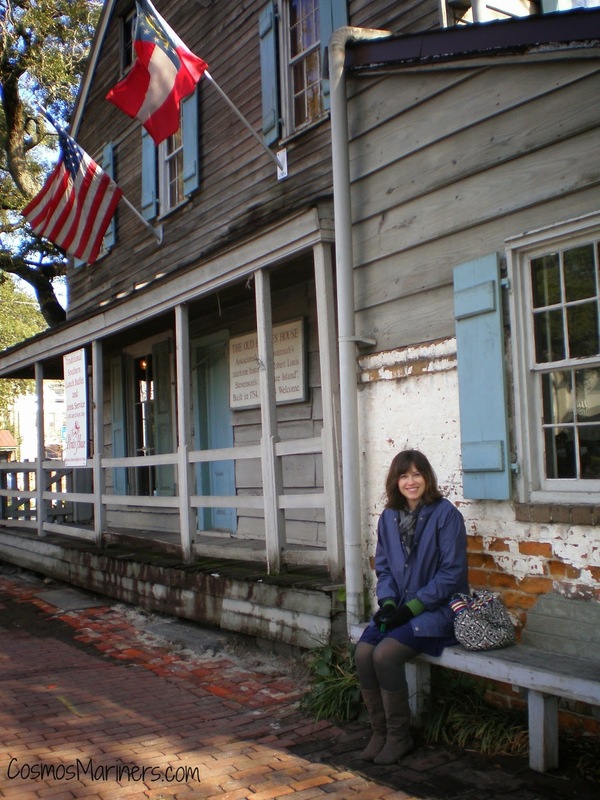 Savannah dates back to 1733, so you've got almost three centuries of happenings to discover. There are multiple ways to accomplish this, as Savannah offers walking tours, trolley tours, and carriage tours. Find the perfect souvenir. From your standard t-shirts and blankets in River Street shops to the first edition books over at the Book Lady Book Store, you'll be sure to find whatever tickles your fancy. Stroll down West Broughton Street for a bit of everything from Banana Republic to the Savannah Bee Company. Support the local arts. With one of the nation's top art schools (Savannah College of Art and Design, affectionally known as SCAD) located in downtown, you can be sure that there's no shortage of art galleries and exhibitions. There's an incredible rotating gallery on East Liberty Street where you can view and buy the work of SCAD students and faculty. 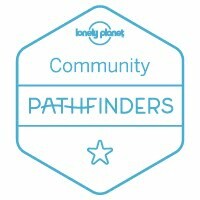 Other great spots to include on your trip are the fountain at Forsyth Square, the Juliette Gordon-Low house, the Mercer Williams house (famous for being the home of the songwriter and the later living quarters of Jim Williams, who features heavily in John Berendt's book, Midnight in the Garden of Good and Evil), and Bonaventure Cemetery (the gorgeous final resting place of Johnny Mercer and poet Conrad Aiken, who's tombstone inspired my blog's name!). Check the calendar. If you're going around the time of the Savannah Marathon or St. Patrick's Day, prepare to pay higher prices and deal with bigger crowds. The St. Patrick's Day parade draws over a million visitors and is consistently ranked among the nation's biggest St. Patty parades. Expect to pay for parking. As with any historic or downtown district, parking is at a premium. Even if you're staying at a hotel in the downtown area, you'll still see a parking surcharge on your hotel bill. If you're driving in from a hotel elsewhere, there are plenty of parking garages and on-street parking meters. Make use of the free transportation. The Dot trams run in a circle around the historic district, and the River Street train takes people along the waterfront. There's also a water taxi that goes in a triangle between the Westin (across the Savannah River from the historic area), the Waving Girl statue, and the Hyatt Regency. The Hyatt Regency on River Street has free bathrooms on the second floor. Technically for the use of those attending a function in one of the ballrooms, these bathrooms are always clean and generally empty. There's also a nice seating area for nursing moms who want a little privacy. 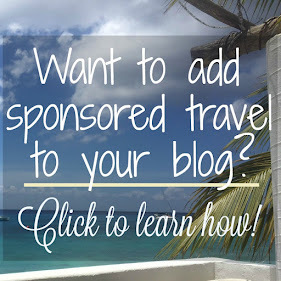 This post contains affiliate links to the hotels listed. If you choose to book through those links, I will receive a small kickback from the sale at no additional cost to you. Have you visited Savannah? If you have, what was your favorite part? 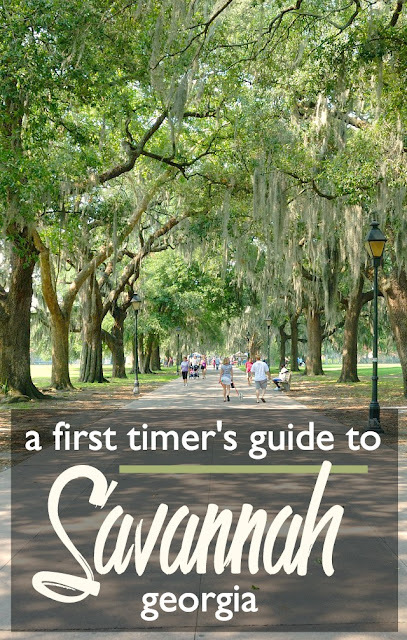 If you haven't, is Savannah on your travel list? ____________________________________ Want even more travel goodness? Sign up for the newsletter and get the latest Cosmos Mariners updates, giveaways, and travel news right to your inbox! Hello, 2015! I Have Big Plans for You.